When I set out to write the story of Jules, Andrew, and Nick, I had to choose a setting. Where did their story take place? Was it during a historical period? Were they on another planet? What rules governed their world? After considering a universe of ideas, I settled on Chapel Hill, NC in the current day. Why Chapel Hill? There are several reasons. First, I live nearby so I had access to do first-hand research. (Never underestimate the fun in first-hand research!) 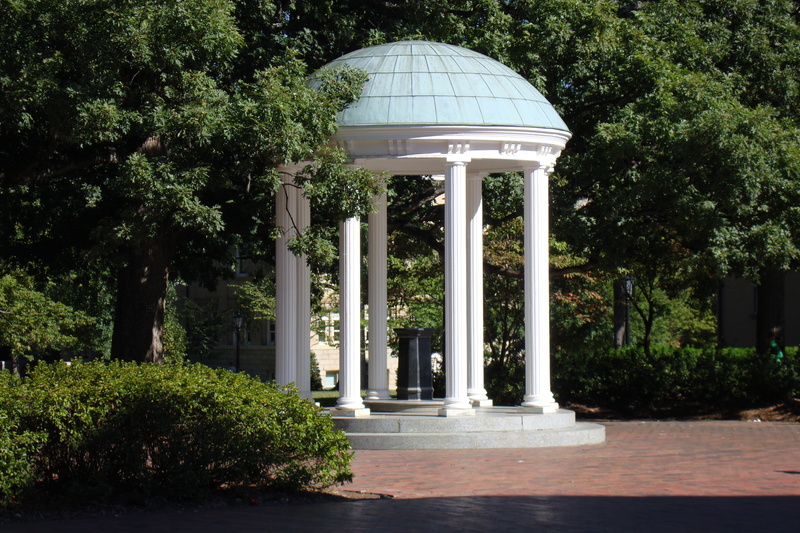 Second, Chapel Hill is a place that is fairly well known because of the academic reputation and athletic records of the University of North Carolina – Chapel Hill. Using a town that is known would allow me as an author to concentrate on the finer points of the setting (like the inside of a dorm) without having to describe the larger setting of Jules’ world because information is easily accessible on the Internet. Besides, Chapel Hill is a wonderful example of a charming town and gown city in the South. I chose current day to add to the readers understanding of the setting and culture. Setting Jules’ story in a known location in the current day highlights the contrast between the unusual things happening to her and the normal life of her friends on campus. Despite the fact that Jules’ roommate Jade is a cheerleader on a prestigious college cheerleading squad, Jade acts as a control versus Jules. The normal versus the abnormal. The understood versus mystery. The predictable versus the unexpected. The “normal” setting works to heighten Jules’ fear of being outed as “different.” All she wants is to be normal and fit in. Don’t we all? To make Jules’ world as accessible as possible, I used real names for campus locations and street names. The businesses off campus are renamed but if you really wanted to know where certain scenes happen, it’s not hard to figure out. It was a thrill to visit Battle Park, adjacent to the campus, and take the photo for the cover of the book. A visit to South Mountains State Park is scheduled in two weeks. I plan to take a slew of photos and video. I’ll admit I am a fan of Twin Peaks and was excited to visit the Double R Diner in North Bend, Washington and order a slice of cherry pie. This is my way of paying it forward. The next time I’m in Chapel Hill, I may have a beer at “Hilltop” and toast Jules, Andrew, and Nick. ← The Bad Guy in Tenderfoot: Who is it?